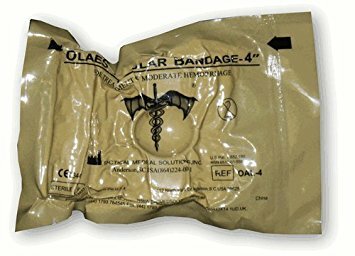 Widely viewed as the first only real successor to the classic Israeli bandage, the Olaes® Modular Bandage offers fast, versatile bleeding control for all levels of care providers. 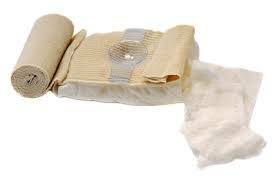 Packed with features such as 3 meters of gauze, a removable occlusive plastic sheet (for sealing chest wounds and abdominal eviscerations) behind the dressing pad, and a pressure bar (that can also act as an eye cup), the advanced capabilities of the bandage are tucked neatly away and can be utilized if required or simply ignored. Designed with direct input from some of the most experienced combat medics in the world, no detail has been left out. From the adhesive "brakes" on the elastic bandage that prevent accidental unrolling to the zig-zag packed gauze that easily feeds from the bandage, this is the most comprehensive feature packed bandage available without any added confusion. Weight: 79 g / 2.79 oz.